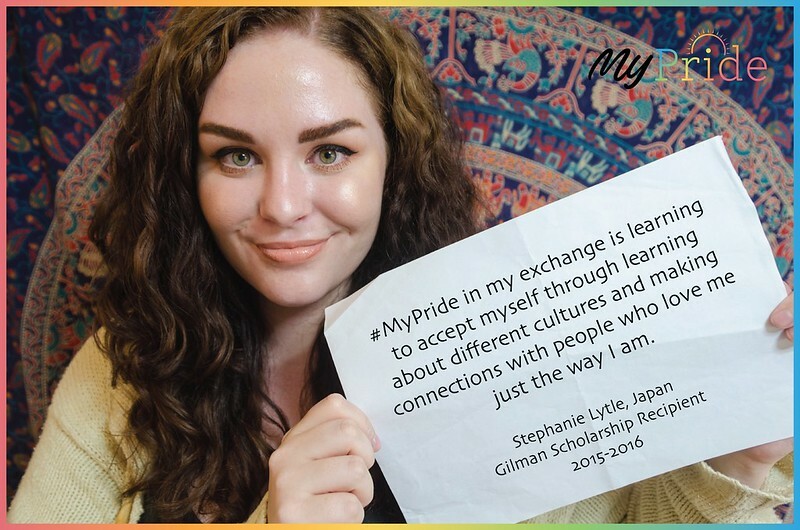 The Bureau of Educational and Cultural Affairs' (ECA) "My Pride in Exchange Programs" campaign showcases the importance of Lesbian, Gay, Bisexual, Transgender, Intersex (LGBTI) inclusion and diversity within international exchange program participants. We want you to be a part of the campaign by submitting photos and videos! Please follow the photo and video submission guidelines below to learn how to participate. Selected submissions will be promoted on this web page and on Exchange Programs at State Facebook Page with the hashtag #MyPride. Read the full photo and video submission guidelines below or Download the Instructions (PDF). Check out the playlist of current submissions! What does having pride in your exchange experience mean to you? What would you recommend to someone who might be concerned how their sexual orientation or gender identity could affect their exchange program experience? Describe an important moment from your exchange program in relation to your sexual orientation or gender identity. If you have completed your exchange program, how have you shared your exchange experiences upon your return home? Videos must be no longer than 45 seconds.